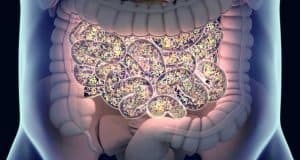 Is it always correct to ‘feed’ bacteria in the gut? Is there one “Gut Diet” that will work for everyone? In this blog, we’ll explore these questions (and give a few answers) as we take a second to discuss an incredibly specific diet known as: The Low FODMAP Diet. Millions of Americans suffer daily with gut issues such as IBS, IBD (Irritable Bowel Disease which includesCrohns and Ulcerative Colitis), SIBO and leaky gut. Up to 60 million Americans suffer from IBS alone. To put that astronomical number into perspective, 28 million Americans have heart disease. About 30 million less people suffer from heart disease than IBS. GI problems are on the rise. We can thank stress, medications, and especially the foods we eat. Eating is the one thing that we do multiple times a day that can directly affect the integrity of the gut and the immune system. The foods you eat build you up or break you down. 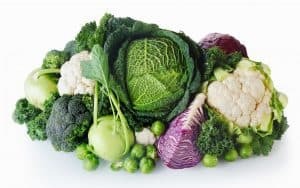 There are certain foods which most would classify as “healthy” (broccoli), as well as some that would be “unhealthy” (cake). However, many times it is not that clear-cut. For those who have IBS–type symptoms that just won’t go away, well, The Low FODMAP diet could help! In one study, those with IBS who followed a low FODMAP diet should 75% improvement in symptoms! “Health” foods are only healthy for you if your body can properly digest and absorb them without causing harm. Certainly you’ve heard the phrase “you are what you eat”. That may be true, but it’s a little more complicated than that. We are actually what we eat, digest, absorb, and assimilate. There are many chances for the digestive process to break down along the way. If there is dysbiosis, or imbalance of gut bacteria, then the way we digest food can be altered. Dysbiosis causes inflammation not only in the gut, but body-wide. Symptoms include fatigue, brain fog, diarrhea, constipation, hormonal imbalances, joint pain, neurological symptoms and much more. Think of the bacteria in the gut like a lawn. When the yard is nice and trimmed, then we consider it in good shape. When the yard is neglected it can overgrow. This leads to tall grass, weeds and different kinds of species of plants. When the yard is out of control, what should be done? Would it be prudent to put fertilizer down to feed the good grass, or should the yard be trimmed back? Trimming the yard would be the equivalent of starving the bad bacteria from the gut. Bacterial overgrowth can be one of the root causes of GI problems like SIBO, IBS, IBD, and leaky gut. In one study, 78% of those with IBS had SIBO. When the bacteria in the intestines overgrow, it disrupts digestion and leads to things like gas and bloating. FODMAPS are found in most food groups, and affect every person differently. FODMAPS aren’t easily digestible, which means that they “feed” certain bacteria in the gut. Feeding your gut bacteria is a good thing, right? Well, not exactly. 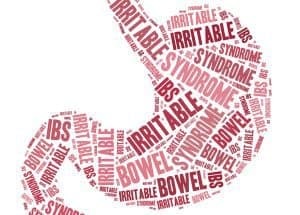 If someone has SIBO (overgrowth of bacteria in the small intestine) or dysbiosis in the large intestine, then feeding is not the answer.FODMAPS have the potential to pull water into the intestine, leading to bloating and even diarrhea. Instead of feeding the overgrowth, we now know that starving the bacteria overgrowth can be beneficial, much like cutting the grass of your overgrown yard. Following a low FODMAP diet can decrease inflammation in the gut and bacterial overgrowth.It has the potential todecrease symptoms like gas, bloating, constipation, diarrhea, brain fog, fatigue and much more! Now that we’ve identified which foods are causing the problem, we can use diet to begin the recovery process. Ideally one eliminates high FODMAP foods from their diet for a period of 4 to8 weeks. This gives the gut time to heal and the immune systemtime to calm. Gut bacteria will follow suit and begin balancing. It is very important to be as strict as possible in these few months, because unknowingly eating high FODMAP foods daily can sabotage your efforts. After the 4 to 8 weeks have passed and you have discussed re-introduction with your doctor, you may begin re-introducing certain foods to see how they affect you. When re-introducing, it is important to only introduce 1 food at a time. Take 3 to 4days and eat the food every day. Make it a good sized portion (or portions). If one of the foods irritates or exacerbates any symptoms, you may have a problem with that food. Eliminate that food in particular out of your diet for the time being and come back to it later on. Keep in mind that it may take days for a symptom to arise, which is whyyou have to eat the food daily for 3 to 4 days. This process helps identify problematic foods, but more importantly it teaches you to listen to your body. The gut is interconnected with every system in the body. Up to 80% of your immune system is housed in your gut. Your hormones are directly impacted by your gut. The neurochemicals in your brain are made in your gut. Harmful inflammation in the body can stem from the gut. If you are able to re-balance your gut bacteria to optimal levels, your health can change for the better in so many ways.